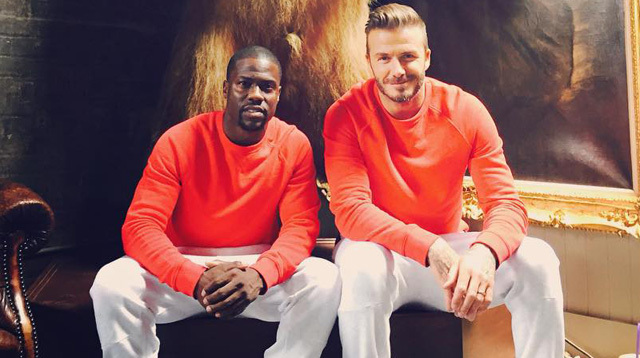 Football superstar David Beckham and comedian Kevin Hart are twins—for a new H&M campaign, that is. The two have been posting teasers of themselves in matching outfits for David’s H&M clothing line, Modern Essentials. For now, we have to make do with these goofy snippets until the official H&M campaign launches. CAN'T WAIT.